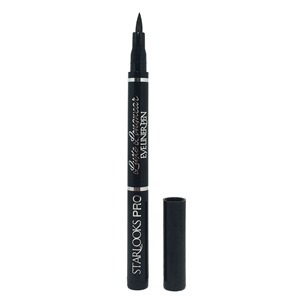 This liner is a staple product for every makeup lover, this felt tipped pen makes it impeccably easy to create flawless eye lines of any variety. 20% off with code IPSY until 9/30/15. My thoughts: I love how easy it is to get this to go on smoothly! 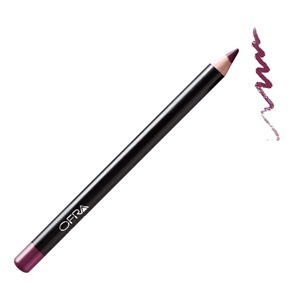 OFRA’S Wine Lip Liner applies smoothly and easily on the lips with a beautiful matte finish. This liner will hold your lipstick in place and prevent it from creasing onto the outside edges of your lips. 40% off with code OFRALOVESIPSY until 9/30/15. My thoughts: I like this color! I smudged it onto my lips and covered with lip gloss (see below for the product!) and it lasted throughout the morning! A must for radiant skin, JUARA’s Turmeric Antioxidant Radiance Mask utilizes the proven power of Indonesian turmeric. This powerful mask detoxifies, brightens and strengthens stressed, tired, dull-looking skin in one single application. 20% off with code IPSY2015 until 9/30/15. My thoughts: I haven’t tried this yet! But I plan to soon! This treatment is a lightweight oil used daily for strong, glossy, frizz-free hair. Whether your hair is curly, straight, thick or thin, this Argan Oil Treatment will become a daily staple in your beauty regimen. $2 off coupon for Walgreens, CVS, or Rite Aid – here. My thoughts: I put a little of this in my hair and didn’t see a difference, but I still need to try it again more thoroughly! 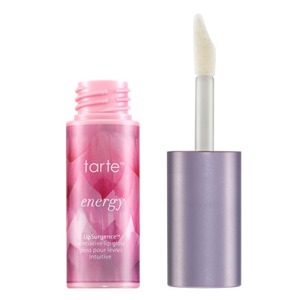 My thoughts: As I mentioned above, I used this over the lip liner and I really liked it! Once again, I pay $10 a month for these bags. I love seeing what comes my way each month! The value received this month was $43.28, which is a slightly lower value than I received last month. My favorite item this month is the eye liner. 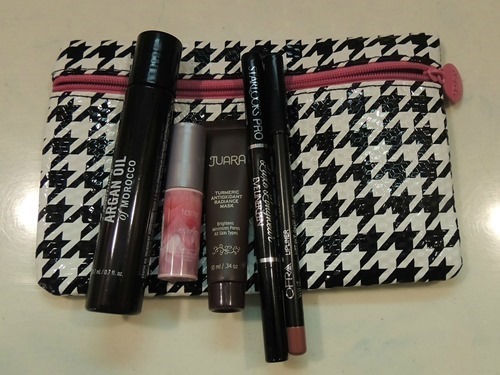 If you’d like to sign up to receive your own Glam Bag each month, click here! If you got this month’s bag, what did you think?